WP Mail SMTP Integration | How to Integrate Pepipost With WP Mail SMTP Plugin? 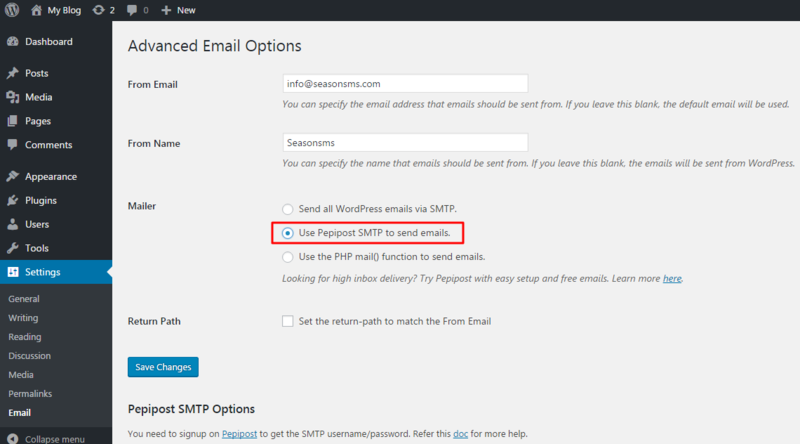 WP Mail SMTP and Pepipost Integration: Setup is a snap! WordPress is one of the most popular open source Content Management System (CMS) that comes with 31,000+ plugins including WP Mail SMTP, used for sending emails over SMTP via an email service provider. Plugins such as MailPoet, Email Subscribers & Newsletters, and WooCommerce use the default SMTP which can lead to low inbox rates and delivery issues. From Email: Your from/sender email address e.g. info@example.com. 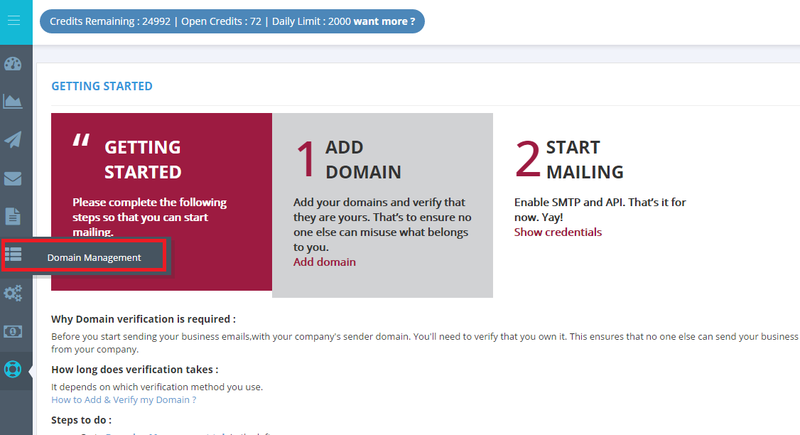 Note: In this case, the example.com domain needs to be pre-verified and approved on Pepipost. Login to your Pepipost account to add and verify your sender domain. From Name: Name that emails should be sent from. e.g. Customer Care, Support Team, etc. How to get Pepipost SMTP username and Password? Sign up with Pepipost and activate your account by clicking on the confirmation link sent by email. Login to your Pepipost account with your username and password. Go to Settings -> Sending Domain. You will be able to add your domain that you will use to send emails to Pepipost. Once your sender domain configuration is done, your account is completely ready for sending the emails. To get your SMTP and API credentials: Go to Settings à Integration àSMTP Relay. Get the SMTP username and password from the respective boxes. Note: By default, the SMTP username and password are the same as your Pepipost account username and password.